Sankara - The life and legend of the founder of Advaita and Vedanta philosophy. Sankaracharya - The life and works of Sankara, and about his establishment of the four regional orders. Sankaracharya: Hyperhistory - Encyclopedia entry profiles the birth and life of this Hindu theologian. Maa Anandamayi - A short biography of the Nineteenth century holy woman. Palace of Gold: West Virginia - A temple built in honor of Srila Prabhupada at New Vrindavan. Has photos, description, and a map to this popular tourist attraction. Poems for Prabhupada - Poems about the saint by Anubhavananda dasa. Prabhupada - A brief history, articles, and letters which give an insight into the life and teachings of the A.C. Bhaktivedanta Swami Prabhupada. The Prabhupada Connection - Dedicated to His Divine Grace A.C. Bhaktivedanta Swami Prabhupada, Founder-Acharya of the International Society for Krishna Consciousness. BAPS (Bochasanwasi Shree Akshar Purushottam Swaminarayan Sanstha) Temples - BAPS network of Mandirs and Centers. Digital Shikshapatri - Online access to the Shikshapatri, written by Shree Swaminarayan, held in Oxford's Bodleian Library. Mahant Swami - Life and teachings of Mahant Swami and the other saints of the Swaminarayan movement. Sarvopari Swaminarayan - The acharyas, temples, saints, and scriptures of the Swaminarayan movement. Shikshapatri - English translation of book of instructions written by Lord Shree Swaminarayan. Shree Swaminarayan Gadi Sansthan - Lineage, photos, calendar, principles and archives pertaining to the organization and the deity. Shree Swaminarayan Sampraday - Information and photos on the Sampraday, activities, the acharya, temples, prayers, satsangs, and events. Shree Swaminarayan Sampraday - About Lord Swaminarayan, his teachings, lineage of Acharyas, and temples. Shree Swaminarayan Temple - History, activities, and photo gallery of the temple in Vadtal Dham, New Jersey, United States. Shree Swaminarayan Temple: Cardiff - History, murtis and timings of the temple. Includes information on the acharyas of the movement. Shree Swaminarayan Temple, Oldham - UK. Provides information on Lord Swaminarayan, temple history, scriptures, saints and events. Shree Swaminarayan Temple, Willesden - Shree Swaminarayan Temple. Get information about Lord Swaminarayan, his manifestation, His Teachings and Scriptures. Find out about the temple, the Gujarati School, history of the temple and the academy for children. Swaminarayan: Dharmakul - Features the lineage of the Swaminarayan sampraday's acharyas. Swaminarayan: Hindu Spirituality - Life and teachings of the Saints of the movement. Includes the history of the movement and list of publications. Swaminarayan Sanstha - An international socio-spiritual Hindu organization with references to scriptures and personalities of the Swami Narayan group. Jai Guru Dev - Biography and teachings of Maharishi Mahesh Yogi and His Master, Swami Brahmananda Saraswati, Shankaracharya of Jyotirmath. Includes photo galleries. Maharishi Mahesh Yogi - The biography of the man who gave Transcendental Meditation to the world, by Paul Mason. Maharishi Mahesh Yogi - A glimpse of Maharishi's achievements over forty years around the world (1957-1998). Amritanandamayi, Mata - The life, teachings and charitable work of this Hindu religious leader. Includes a list of books and videos. Avatar Meher Baba - News and information on Meher Baba organizations, centers, mailing lists, photographs, music, poetry and art. Anthology of quotes with search facility. Beloved Archives - Archiving, restoration and sharing of materials relating to Meher Baba. Activities include Glow International Journal, electronic newsletter MANZIL, Spoken Word Project, publishing, and book orders. Discourses by Meher Baba - All three volumes of collected 'Discourses' (6th edition). Searchable. JaiBaba.com - Photographs, writings, chat service and links, dealing with Meher Baba and followers. Meher Baba Association - This group in the United Kingdom provide information and resources on Meher Baba's life, work and teachings. Newsletter. Meher Baba Information - Volunteer organization seeks to help people access Baba's ideas. MeherBaba.com - Announcements, photographs, prayers, writings, and pointers to other Baba resources. MeherCast - Audio stories of Meher Baba's life and messages, as experienced by some of his closest disciples. Sheriar Foundation - Meher Baba related publications, bookstore, and archival work. Newsletter. Travel to Meherabad and Meherazad - 'Welcome Home' is a source for practical information on traveling to places in India connected with Meher Baba. TrustMeher - Historical correspondence, photographs, music, and articles on people, places, and sites connected with Meher Baba. Avatar Meher Baba Center of Northern California - Community-based group in San Francisco area explain the structure and activities of their Meher Baba center. Avatar Meher Baba Centre of Los Angeles - Meherabode mission statement, activities, announcements, and calendar of events. Avatar Meher Baba Trust - History and ongoing aims of a Trust formed by Meher Baba in 1959. News, events, photographs, contacts, and advice on visiting associated places in India. Avatar's Abode - Summaries of history, purpose, and intent of an Australian center. Visitor information. Meher Baba Bhopal Center, India - Photographs, messages, articles, music and community news. Meher Baba Center of the Twin cities - Community news of Meher Baba followers' activity for Minneapolis / St. Paul area (Minnesota, USA). Meher Baba Tours and Travels - Tour organization for pilgrims visiting sites in India related to history of Meher Baba. Meher Spiritual Center - Pilgrimage or retreat for 'rest, meditation, and the renewal of the spiritual life' at Myrtle Beach, South Carolina, USA. Visitor and contact information, programs and events, and newsletter. Meherana - A developing retreat center in the western United States for people with an interest in Meher Baba. The Awakener Magazine - Edited by Filis Frederick during the years 1953-1986, this magazine's intention was to spread Meher Baba's message. Divine Sport Productions - Presenting a documentary on the life and work of Meher Baba, and a film in production based on keynote book 'God Speaks'. Gateway Mediaworks - Production and sales of Meher Baba related media, including videos and pamphlets. Lord Meher - Searchable online text of a 20-volume biography of Meher Baba. Love Street Bookstore - Catalog of books and other media organized around interest in Meher Baba. Ordering information. Meher Baba and me - Ebook by Jim Migdoll is a collection of poems, anecdotes and essays. Meher Baba Film Archive International - MEFA deals in conservation, restoration and access to moving images relating to Meher Baba's life and work. Meher Baba Library - Archive group in Southern California provide mail order rental service for VHS tapes dealing with Baba history and his people. Catalog and request form. Searchlight - Sales of Meher Baba related books, videos, audio, and paintings. Ordering information. Sheriar Books - Catalog of literature by or about Meher Baba. Shopping cart for books, videos, music, photographs and art prints. Kids section. Freeindia Org: Mira Bai - The biography and legends associated with the singer-saint. Gitananda: Mirabai - Life story and Bhajans of the saint. Mira Bai - Biography of the saint regarded as an incarnation of Radha. Neem Karoli Baba - The life and message of the saint also known as Neeb Karori Baba. Includes a photo gallery and links to related sites. Ananda - Movement sharing the teachings of Paramhansa Yogananda, including Kriya Yoga and meditation. Links to worldwide centers, information about Yogananda and his teachings. Astrological Bangles of Paramhansa Yogananda and Sri Yukteswar - Information on purchasing the Astrological Bangles described in Autobiography of a Yogi,based on the original formula of Swami Sri Yukteswar. Autobiography of a Yogi, by Paramhansa Yogananda - Online reproduction of the original 1946 edition, including photographs. Center for Spiritual Awareness - Spiritual director is Roy Eugene Davis, a direct disciple of Paramahansa Yogananda. Site contains information about Kriya training, retreats, international CSA centers. Center for Spiritual Enlightenment - Information about the center, programs, teachers, and publications. College for alternative healing and education - A 4-year spiritual college inspired by Paramhansa Yogananda. Alternative Living Careers for Health & Healing; Building Communities; Education; Business & Leadership and The Arts. Eugene Meditation Group of Self-Realization Fellowship - Study of the teachings of Paramahansa Yogananda and Kriya Yoga, weekly group meditation services, and social events in Eugene, Oregon. ft. Lauderdale Meditation Group - Self-Realizarion Fellowship - We are the South Florida branch of Self-Realization Fellowship. SRF was founded by Paramahansa Yogananda to disseminate Kriya Yoga to the West. Techniques of meditation are taught here to attain a direct personal experience of God. Furio's Kriya Yoga - Information about the tradition of Paramahansa Yogananda. Greg's Self-Realization Fellowship Pages - Offering information on Self-Realization Fellowship and Paramahansa Yogananda, an online version of the Spiritual Diary, photos from SRF pilgrimages and downloads. Journey to Self-Realization by Paramahansa Yogananda - Journey to Self-realization by Sri Paramahansa Yogananda - The collected talks and essays on Realizing God in daily life. Meditation in the Kriya Yoga Tradition - Study of meditation and yoga in the tradition of Kriya Yoga, as presented by Roy Eugene Davis, a direct disciple of Paramahansa Yogananda. The Om Page - Information on Paramahansa Yogananda, Rajarsi Janakananda, photo albums of Self-Realization Fellowship pilgrimage sites, and the Kansas City Meditation Group of SRF. A Paramhansa Yogananda Universal Shrine - Dedicated to ensuring universal access and the creation of a non-sectarian shrine. Self Realisation Fellowship: Perth, Western Australia - Information on aims, services, and activities offered. Swami Kriyananda (J. Donald Walters) - The life of Swami Kriyananda (J. Donald Walters), direct disciple of Paramhansa Yogananda. Includes free music, books, and videos. The Teachings of Paramahansa Yogananda - A short biography of the Saint. Teachings of Yogananda through Ananda Sangha - Yogananda's teachings of yoga, meditation, and self-realization through Ananda Fellowship founded by Swami Kriyananda. Whispers from Eternity - On line version of the book by Paramhansa Yogananda. Yogananda - Encapsulations of Yogananda's teachings, a brief biography, background on the SRF and links to other sites. Yogananda Devotee Community - A community maintained by devotees since 2002. Light hearted, positive atmosphere with members from all over the world. Yoganandaji.org offers a gallery, message board, chat room and many more features. Deathless Golden Body - A brief introduction to the life and teachings of the saint. Ramalinga Adigalar - Brief life sketch of Sri Ramalinga Adigalar known as Thiru Arutprakasa Vallalar, his devotional works, including activities of Vallalar societies. AHAM, self-Inquiry, Ramana Maharshi, enlightenment - A comprehensive site with information on Ramana Maharshi's teachings, inspirational quotes, and other activities, publications, training courses of AHAM Meditation Retreat Center in NC, USA. Arunachala Ramana - About Ramana Maharshi and his teachings. Includes information about Thiruvannamalai, photographs, and Hindu scriptures. The Beezone: Talks with Sri Ramana Maharshi - Excerpts from the book 'Talks with Sri Ramana Maharshi'. Bhagavan Sri Ramana Maharshi - Biography of the Holy Sage of Arunachala. Edited by the Wanderling. Many links. Bhagavan Sri Ramana Maharshi - Biography, links to other Ramana Maharshi sites, information on travelling to Thiruvannamalai, on egroups and satsanghs, teachings of Ramana Maharshi, online journals, and publications. Bhagavan Sri Ramana Maharshi - Official site for this spiritual leader, including a photographic tour of his ashram, and some of his writings in PDF format. Ramana Maharshi - Links to many teachings of Ramana Maharshi available on nonduality.org web site. Ramana Maharshi Foundation UK - Monthly meetings are held in London. A Newsletter and diary of forthcoming satsangs in the UK and Europe is published three times per year. Ramana Maharshi: The way for happiness - The life and teachings of the saint. Includes an Italian version and also practical instructions. Ramana Way - On-line content of this Publication for 1998 - 99 and details of the activities of the Ramana Maharshi Centre for Learning at Bangalore, India. Sri Ramana Maharshi - The life and teachings of the saint. Sadhu Vaswani Center: New Jersey - Information about the activities of the center. Sadhu Vaswani Center: Panama - Information on the events, activities, books and publications of the center. Sadhu Vaswani Centre: Singapore - The activities and publications of the centre. Includes answers to spiritual questions by the Saint. Om Sai Mandir: New York - Location, timings, and activities of the temple. Sai Baba - The history and teachings of the saint. Includes a picture gallery and an English translation of Sai Satcharitra, the original work of Shri Hemadpant in Marathi. Sai Baba Mandir - The location and programs of the Sai Baba Temple in Baldwin, NY. Includes a photo gallery. Sai Baba of Shirdi - Life and teachings of the saint. includes a photo gallery and sai aratis. Sai Baba of Shirdi - Contains information on life and teachings of Shirdi Sai Baba. Information on Shirdi, interactive book to share devotees experiences, picture gallery, and automatic festival reminder. Sai Baba of Shirdi - This site is devoted to Him. Sai Samsthan: USA - Teachings and philosophy of the Shirdi Saibaba. Includes details of temple and other community activities. Saibaba Temple: New York - A project to construct a new temple at Flushing. Shirdi Sai Baba Temple - This temple dedicated to Shirdi Sai Baba was established in 1980 in Tamil Nadu, Madras in India. Shirdi Saibaba Temple - Location, travel information, and the sacred places in and around Shirdi. Shree Sai Dham - Life and teachings and preachings of Shree Sai baba. Includes some rare photographs. Though the opening page is in English the main site is in Marathi and Hindi. Bhagwan Shri Sathya Sai Baba - Official site contains news on current events, photographs, scripts of His discourses, details on the institutions and ashrams run by the Sathya Sai Central Trust and daily schedule of events in the ashrams. Sai Darshan - Contains information on Bhagavan Sri Sathya Sai Baba and the centers of the Sai Organization; words, discourses and teachings; bhajans, mantras, pictures and articles by devotees; links, audio, video, magazines and books information; discourses on current events. Beloved God - Site by an artist devoted to Baba. Includes his sayings, stories and illustrations. International Sri Sathya Sai Organization - Contains information on Sai Baba's works, teachings, discourses, profile and His whereabouts. Information on the world branches of this organization and this organizations' activities as well as pictures, books and video are available. Love Is My Form - Pictorial book on the life and mission of Sathya Sai Baba. Names of Sai Baba - A collection of names of Sai Baba. Om Sri Sai Ram - Information and pictures of Satya Sai Baba. Sai Baba - Information on Bhagavan Sri Sathya Sai Baba, sayings, discourses and teachings; bhajans, mantras, pictures, links, audio, and video. Sai Baba - Articles, bhajans, discourses, and miracles. Sai Baba: A Clear View - Pro Sai page addressing some of the allegations against Baba. Sai Baba Films - A collection of short films made for the ashram and displayed on this site through streaming video. Various formats and connection speeds are featured, allowing downloads with both modem and high speed Internet connections. Sai Baba Links - A directory of Internet sites about Sai Baba's life, work, and teachings. Sai Bhajan - Sai bhajans from South Europe. The Sai Critic - Critical examination of The Findings, reaction of devotees, what it means to be a Sai devotee, healing strategies and recovery of devotion. S.A.I. Foundation - Video tapes, historical videos of Sri Sathya Sai Baba by Richard Bock and Janet Bicker. Sai Global Harmony - Provides details on the programmes broadcast by Radio Sai on a 24 hour basis by digital radio and over the web. Also includes downloads of discourses and interviews relating to Sai Baba. There is a quarterly e-magazine on Sai Baba which can be downloaded, or printed. Saican.com - Resources, discources and teachings, mantras, pictures, latest events and directions to Prasanthi Nilayam (Puttaparthi). Also sales of audio and video samples of Sai bhajans and devotional music. Saionline - Information and monthly updates on discourses, Puttaparthi and travel information. Sathya Sai Baba - Articles on the Saint and quotes from his sayings. Sathya Sai Baba - Information for those who are just learning about Baba. Includes a message board for discussion. Sathya Sai Baba Temple - Information about the location and schedule of the temple in Hollywood. Includes photographs of the saint. Spiritual Impressions - Online magazine about the devotees of Bhagawan who have made significant contribution to the growth of the Sathya Sai mission. Sri Sathya Sai Baba Impersonators - A compilation of what Sri Sathya Sai Baba says about those who are trying to impersonate him. Vahini - Offer all the Vahini books written by Bhagavan Sri Sathya Sai Baba for download. World of Sai - Message, discourses and stories of Sathya Sai Baba. Hong Kong - Sai Centre in Hong Kong. Human Values - Sathya Sai Center for Education in Brazil. Sai Centre: Madrid, Spain - Sai Baba gita, photographs, and information on educational programmes. Sai Centre: Singapore - Sayings and quotes of Sathya Sai Baba. Sathya Sai Service Organisation: New Zealand - Information and resources for New Zealanders about Sai Baba. Download MP3 samples of songs of worship. Sri Sathya Sai Baba Organisation: United Kingdom - About the organisation and the projects undertaken. Sri Sathya Sai Baba Seva Organisation: Sweden - Information about Baba, his teachings, and the organisation. Includes a list of centers and groups in Sweden and Norway. Sri Sathya Sai Centre: Calgary, Alberta, Canada - Information about the centre and its activities. Sri Sathya Sai Seva Organisation - Information regarding the happenings in the state of Orissa. Belief and Sai Baba - Sai Baba claims to be God, but is a fake. His influence is destructive. Archived articles, plus a discussion group, and links to recommended sites. Concerned Former Devotees of Sathya Sai Baba - Contains testimonies and articles about his deception, sexual abuse and the killings in 1993. General information on cults is also available. The Findings - David Bailey, formerly close to Sai Baba, tells his story. Also presents many testimonies from other ex-devotees about their ugly experiences with the Swami. For the Sake of Truth - Well-known Swedish actor Conny Larsson's story of his disillusionment with Sathya Sai Baba over sexual abuse and faked miracles. Indian Skeptic - Monthly magazine publishing scientific investigation of claims of the paranormal, and, in particular, debunking Sathya Sai Baba, since 1988. News, partial archive of back issues. NHNE Special Report: Sai Baba - Reproduces an article from a humanist perspective, and a letter from an ex-devotee. An Ongoing Investigation into Claims and Realities Surrounding Sathya Sai Baba - Introductory articles, annotated bibliography, problems with the guru's statements and the claims of his devotees, comments on news items. Rick Ross: Sai Baba - Collection of articles critical of Sathya Sai Baba. The Sai Baba Files - Questions for spiritual seekers to ask, a biographical sketch, lengthy quotations from the master, news article about a UN agency withdrawing from a conference co-sponsored by Sathya Sai, links. Saiguru.net - Articles and transcripts of stories from the news media, accounts of sexual abuse perpetrated by Sathya Sai Baba, essays and letters, links. In English and Spanish. Sathya Sai Baba - Correspondence suggests that he is a sleight-of-hand artist and sexual predator. Questions are also raised about killings at Sai's ashram. Sathya Sai Baba Avatar - Extensive writings of a long-term follower and leader of the Sai Organisation from before and after disillusionment. Sathya Shree Sai Baba: Critical Views - Links to sites critical of the guru. The Skeptic's Dictionary: Sai Baba - Short article on the Indian guru and his alleged miracles. Also links to critical sites. Turning a Blind Eye to Pedophilia and More! - Tony O'Clery introduces a letter from ex-devotee Conny Larsson, who tells a shocking story of Sai Baba's attention to young boys. Untouchable? - Article about Sathya Sai Baba, and accusations of the guru's use of young male devotees for his own sexual gratification. Auro Music - Music for meditation from the Mother and Sri Aurobindo. Auromira Centre - Information about the centre and its activities. Located in Greenford, Middlesex, United Kingdom. Auroville Universal Township - A city in the making in south India, dedicated to human unity, and based on the vision of Sri Aurobindo and The Mother. Details of the vision, the city, and its environment. Light Endless Light - Information on the Mother and Sri Aurobindo's lives, yoga and philosophy. Matagiri Sri Aurobindo Center - Spiritual retreat located in the Catskill Mountains near Woodstock, New York, run by an organization dedicated to the spiritual vision of Sri Aurobindo. Search for Light - A selection from the works of Sri Aurobindo and the Mother. Sri Aurobindo - Article describing this Hindu mystic's relationship with the Mother Goddess. Includes a profile of Auroville the community he established. Sri Aurobindo - Autobiography, biographical sketches and an index of published texts relating to this Indian political and spiritual leader. Sri Aurobindo and the Mother - Life and teachings of Sri Aurobindo and The Mother. Includes an analysis and interactive commentary of Mother's agenda. Sri Aurobindo Ashram - Information about the ashram in Pondicherry, India, and its activities. Includes an image gallery. Sri Aurobindo Association of America - The history and activities of the non-profit, tax-exempt organization assisting groups and individuals devoted to the realization of the spiritual vision of Sri Aurobindo and the Mother. Sri Aurobindo Institute of Culture - Information on the educational, cultural and other activities of the institute devoted to spreading the teachings of the Saint. Sri Aurobindo Kendra - Center in Dharamgarh, Orissa, India enshrined with the sacred relics of Sri Aurobindo and The Mother. Sri Aurobindo Society - The official web site of the Sri Aurobindo Society in Pondicherry, India. Humanity is not the Last Rung of Terrestrial Creation. - Site on evolution with quotes by Sri Aurobindo. Integral Yoga in Europe - This web site is dedicated to the Integral Yoga of Sri Aurobindo and The Mother. Integral Yoga of Sri Aurobindo and the Mother - This site includes introductions to Integral Yoga and to the people and centers who aspire to its golden promise. Search for Light - Quotes and stories from the Mother. Includes online magazine with material by Sri Aurobindo. AdhiParaSakthi Siddhar Peetam: Magazines - Two magazines published by the peetam of Shri Bangaaru Adigalaar. Peace Begins With Me - Article in the European Vegetarian Union News about the "Sri Chinmoy Oneness-Home Peace Run." Peace Institute Honors Chinmoy - Hinduism Today article includes a 1994 interview with the guru. Peace Mountain in Nepal - Hinduism Today article about King Birendra's designation of an unscaled Himalayan peak as "Sri Chinmoy Peace Mountain." Radio Sri Chinmoy - An Internet radio with 7 channels and more than 50 hours of soulful music by the guru. Includes flute, esraj, cello, voice, synthesizer and pipe organ. Religious Movements Homepage: Sri Chinmoy - University of Virginia page prepared under the direction of the late Prof. Jeffrey Hadden. Some links outdated. Sri Chinmoy - Life and teachings of the spiritual teacher. Includes his literary, musical and artistic works. Sri Chinmoy Art - Paintings and drawings by the artist. Pieces from his Jharna-Kala collection. Insights into his philosophy of art as meditation, and meditation as art. Sri Chinmoy Centre - A practical guide to the guru's worldwide spiritual organization. Philosophy, lifestyle, activities, anecdotes, meditation and home study. Sri Chinmoy Inspiration - Yahoo! message board where students and friends of the guru meet and share. Sri Chinmoy Library - Online source for more than a thousand of the guru's books. Includes talks, poems, stories, plays, questions and answers, and humor. Searchable database. Sri Chinmoy Marathon Team - An article by Kevin Tiller discussing the guru's philosophy of self-transcendence as it applies to ultrarunning. Sri Chinmoy Music - The guru writes about music as the universal language of God. Includes "God the Supreme Musician," "The Mantra Aum," and "Becoming An Instrument." Sri Chinmoy Peace Blossom Program - School of Metaphysics article describing this program for international friendship. Sri Chinmoy Poetry - Excerpts from several volumes by the spiritual poet, with an introduction by Alan Spence. Includes both English poems and translations from Bengali songs. Sri Chinmoy Races - Race events sponsored by the Sri Chinmoy Marathon Team, from Masters track and field competitions to the world's longest certified race of 3100 miles. Sri Chinmoy TV - Video clips of the spiritual master and his many activities. Includes concert footage, interviews, silent meditation, running and painting. Sri Chinmoy Welcomed as New IRPP Board Member - Photo and article from the site of The Institute on Religion and Public Policy. Versatility Incarnate - Ashrita Furman is the holder of numerous Guinness Book World Records. He has climbed Mt. Fuji on a pogo stick. His site is a dedicated offering to Sri Chinmoy. World of Many Faiths - Anglican sermon by Rev. Barbara Moss, with discussion of Sri Chinmoy's poetry about the Christ. World Trade Center Message - Sri Chinmoy's prayerful message after the tragic 9/11 attack. Yoga of Sri Chinmoy - Yoga or philosophy of Sri Chinmoy. Includes writings about the spiritual path of the saint. Shri Mataji Nirmala Devi - The biography of the founder of Sahaja Yoga and information on Sahaja yoga. Sahaja Yoga Meditation - Official site with extensive information on Sahaja Yoga Meditation and the founder Her Holiness Shri Mataji Nirmala Devi Srivastava, online experience of Kundalini awakening and Self Realization, information on chakras, prophecies, Sahaja Yoga centers around the World, downloads of Shri Mataji's talks and meditation music, Sahaja Yoga news, art and poetry, links. Aarons Sahaja Yoga Site - Info on clearing chakras with World prayers, inspirations, personal experiences with Sahaja Yoga, library of enlightened souls, FAQ. Blossom Times - The Time for Self Realization - This free bi-monthly electronic magazine is being published to bring a new awareness about Sahaja Yoga Meditation to the truth seekers world wide. Online subscription and free downloads of the latest issues. Chindwara - Birth place of H.H. Shri Mataji Nirmala Devi - Information about Chhindwara Project. Clinical Applications of Sahaja Yoga Meditation - Evaluation of Sahaja Yoga Meditation through sophisticated brain imaging technology. A pilot study of advanced Sahaja Yoga meditators using Quantitative Electro Encephelo Gram (QEEG). The Cool Breeze of the Spirit - Description of miracles in Sahaja Yoga, testimonials and stories of those practicing this method of meditation collected from all over the world, as well as possibility of online experience of Self Realization. Dharma Vision in Sahaja Yoga - Opinions on various movies by the practicioners of Sahaja Yoga. Divine Sahaja Yoga - Collection of articles about Sahaja Yoga and spirituality. Personal experiences of Sahaja Yoga practitioners. The Legend of Dagad Trikon - LDT is a Tolkienesque novel about the search for the Holy Grail, the key to Self-Realization. Meditation Basics - Free online guide on how to meditate. Description of different states of awareness, lessons on achieving thoughtless awareness, balance, rejuvenation and inner peace, Sahaja Yoga meditation lessons, virtual meditation room with audio and video resources, how to progress guide. Meditation including Sahaja Yoga Meditation - Short and concise introduction to Meditation and to Sahaja Yoga Meditation. Meditation Meetings, Sahaja Yoga in Midland, UK - Free Sahaja Yoga Meditation classes in Coventry, Birmingham, Leamington, Northampton, and Wolverhampton. Info on Sahaja Yoga Meditation and the founder Shri Mataji Nirmala Devi. Millennium Website of Sahaja Yoga - Description of Sahaja Yoga of Shri Mataji Nirmala Devi as the unique way to know absolute truth through Sahaja Yoga meditation techniques, online experience of Self-Realization. Oregon Sahaja Yoga Meditation site - Sahaja Yoga Meditation Centers in Oregon. Poetic Meditations Inspired by Shri Mataji - Haiki Poetry by Graham Brown inspired by the experience of Sahaja Yoga or spontaneous Self-Realisation, and the founder of Sahaja Yoga Shri Mataji Nirmala Devi. Poetry Enlightened - Features poetry by those practicing Sahaja Yoga meditation that reveals their spiritual experience. Also poems by Shri Mataji, the founder of Sahaja Yoga. Rediff On The Net: Nirmala Devi's North American Appearances - By rediff.com stuff - Sahaja Yoga Meditation centers in North America. Sahaja and the ascending Kundalini - Use of 'Sahaja' by saints in earlier centuries - 1200 years of an interfaith tradition. Sahaja Yoga - Facts about Sahaja Yoga from the official reply by The Sahaja Yoga Association to the few web sites on the internet containing allegations against Sahaja Yoga and its founder Shri Mataji. Sahaja Yoga - The Pond of the Witness - Philosophy of Sahaja Yoga. Aphorisms, poems, photo images for meditations, quotes from Upanishads and from enlightened writers. Information about Kundalini, chakras, and achieving Samadhi. Features original texts from H.H. Shri Mataji Nirmala Devi Srivastava, mantras, information and advice that Shri Mataji shared in private correspondence. Sahaja Yoga and Kundalini in World Traditions and Cultures - Sahaja Yoga as described in Chinese, Christian, Arabic, Indian, Greek, and contemporary writings in a historical context. Sahaja Yoga Association of Purdue - Offers Sahaja Yoga information and programs and classes at Purdue University in Indiana, United States. Sahaja Yoga Bay Area - Centers in San Francisco, San Jose, Oakland, and Berkeley, California. Online registration for free classes, video clips of lectures and testimonials. Sahaja Yoga Canada - Sahaja Yoga Canada official site. Provides information on chakras, meditation guide, Sahaja Yoga videos and information on free meditation classes throughout Canada. Sahaja Yoga in Ireland - Information about Sahaja Yoga Meditation and a list of free meetings in all Ireland. Sahaja Yoga in Bristol - Centers of Sahaja Yoga Meditation in Bristol. Sahaja Yoga in LA - Sahaja Yoga in Los Angeles. Free Sahaja Yoga meditation classes in the LA area, Orange county, Pasadena, Corona and Santa Barbara. Information about Sahaja Yoga Meditation center in Los Angeles featuring daily free programs in English, Spanish, and Russian, movie nights, meetings with famous musicians and artists, music and meditation sessions, and nature walks. Sahaja Yoga in San Diego - Sahaja Yoga free classes in San Diego. Information on meditation, kundalini, the subtle system, experiences of Sahaja Yoga practitioners, and online Self Realization. Sahaja Yoga in Scotland - Information about Sahaja Yoga Meditation, Kundalini Awakening, the founder of Sahaja Yoga Shri Mataji, and FAQ for the people of Scotland with reference to local meetings. Sahaja Yoga in Singapore - Sahaja Yoga meeting times, testimonials of practitioners of Sahaja Yoga, photo gallery, and quotes of H.H. Shri Mataji Nirmala Devi - the founder of Sahaja Yoga. Sahaja Yoga in Ukraine - Information about Sahaja yoga and location of the centers in Ukraine. Sahaja Yoga in Vancouver - Sahaja Yoga meditation classes in Vancouver and BC area, information on Sahaja Yoga, Sahaja Yoga meetings overviews and photos, music of joy shows schedules. Sahaja Yoga in Victoria - Information about Sahaja Yoga, free Sahaja Yoga classes around Melbourne. Features also Hiawatha Country Meditation Retreat for accommodating large groups of visitors from local, interstate and even international, all within a subtly peaceful natural environment. Sahaja Yoga Malaysia - Sahaja Yoga in Malaysia, description of Yoga and Kundalini Awakening, experiences of Sahaja Yoga practitioners, free Sahaja Yoga meditation classes in Malaysia, Sahaja Yoga news and events, online self realization experience. Sahaja Yoga Massachusetts - Overview of Sahaja Yoga, free classes, contacts, and upcoming events. Sahaja Yoga Meditation Center: Austin - Information about the center and the classes conducted. Sahaja Yoga Meditation Edison Site - Overview of Sahaja Yoga, testimonials of those practicing Sahaja Yoga in Edison, and local Sahaja Yoga contacts. Sahaja Yoga Meditation News - Light of Love - Free online newsletter containing spiritual topics, extracts from newly discovered religious sources, methods for easy meditation, and Sahaja Yoga news. Sahaja Yoga New Jersey - Information on Sahaja Yoga meditation centers in New Jersey as well as instructions on how to meditate and receive Self Realization. Sahaja Yoga New York - Sahaja Yoga Meditation centers in New York, New Jersey, Connecticut, information on the founder Shri Mataji Nirmala Devi and Sahaja Yoga. Sahaja Yoga New Zealand - Describes the Sahaja Yoga organization and provides meeting times in various New Zealand locations. Sahaja Yoga: North Carolina - About Sahaja yoga and the activities of the center. Sahaja Yoga Online Radio - Features Sahaja Yoga music, songs, bhajans, Indian Classical Music, Meditation music in mp3 and mp3pro formats - free online radio created to immerse the listener into the ocean of joy. Sahaja Yoga Ontario - Information on weekly meetings with maps, news archive, music programs, health shows, testimonials. Sahaja Yoga UK - Introduces the concepts with an explanation of the benefits and methods. Includes information on free meetings and classes throughout the UK. Sahaja Yoga Utah - Articles on Sahaja Yoga and how to Know Thyself, information on the chakras and kundalini, and Sahaja Yoga free classes and events in Utah. Sahaja Yoga Washington DC - Information on Sahaja Yoga, the subtle system of chakras and channels, free Sahaja Yoga meditation classes in the Maryland, Virginia and Washington DC area, Sahaja Yoga news and upcoming events. Shri Adi Shakti: The Kingdom Of God - A 2200-page book by Jagbir Singh that offers evidence of a Kingdom of God existing within every human being, based on the work of Shri Mataji Nirmala Devi. Shri P.K.Salve Kala Pratishthan - Sahaja Yoga Music Academy in Vaitarna, India - Offering courses for internationals and local students in Medicinal Indian Vocal Music Therapy, Indian classical vocal music and bhajans, Kuchipudi dance, tabla, sitar, Indian miniature painting. Also offering three day workshops on Sahaja Yoga music, meditation and spirituality. Narayana Guru, Sree - The life, teachings and the social message of the nineteenth century saint from Kerala. Narayana Guru, Sree - The life and teachings of the saint. Information on Sree Narayan Darma Paripalana Yogam, Kerala, India. Shree Narayana Guru - The biography and teachings of the social reformer saint from Kerala, India. Sri Guru Raghavendra - Patron saint of Mantralayam. Site includes, pictures, life, miracles and visiting Mantralayam. Sri Guru Ragavendra Swamy - History of the Saint and Mantralaya, and real life experiences of the devotees. Includes a picture gallery. Advaita Ashrama - Information about the Ashram and the Ramakrishna Order; official journal (Prabuddha Bharata) available online; mail order for all of the books published by this organisation (in West Bengal, India). The Complete Works of Swami Vivekananda - All the nine volumes of Swamiji's published works available on line. Daily Sutras from the Gospel of Sri Ramakrishna - Daily sutras plus 100 selected quotations sorted by topic. Disciples of Sri Ramakrishna - Provides biographies of all the direct disciples and brief extracts from their teaching. Indolink Poetry - A small collection of poems by Swami Vivekananda in English translation. The Making of a Devotee - Complete text of the autobiography of Swami Vidyatmananda (John Yale), disciple of Swami Prabhavananda (who was a disciple of Swami Brahmananda, in turn one of Sri Ramkrishna's disciples). Poems of Swami Vivekananda - English translation of the poems written By Swami Vivekananda. Ramakrishna and Christ: Paul Hourihan - Comparison of the lives and mysticism of Ramakrishna and Jesus Christ. The Ramakrishna Movement - The four streams of the Ramakrishna movement, mission and their activities. Resources on Vivekananda and Vedanta - Dedicated to making the ideas of Vivekananda accessible to all. Includes a series of interactive lecture summaries, biographical information and a bibliography. Sarada Ramakrishna Vivekananda: SRV Associations - Provides information on the philosophical systems of Vedanta, Yoga, Tantra, Kundalini and other teachings comprising the Sanatana Dharma, and offering inspiration from these three Holy Personages and their devotees. Sri Ramakrishna - Biography of the saint and his teachings. Sri Ramakrishna : Kathamrita - An on line translation of the original book on Sri Ramakrishna. Sri Sarada Mandiram - Information pertaining to and/or originating from the Sarada, Ramakrishna, Vivekananda tradition. Sri Sri Ramakrishna: Daily Sutras - Offers a daily sutra excerpted from the Gospel of Sri Ramakrishna. Swami Gambhirananda - An on-line book exploring the life and spirit of Swami Gambhirananda, one of the most prolific Vedantic scholars and explainers. He was eleventh President of Ramakrishna Mission. Swami Vivekananda - Lectures and teachings of Swami Vivekananda. Includes articles on Vedanta. Swami Vivekananda - Life, teachings, writings and many new discoveries of Swami Vivekananda, by Frank Parlato Jr, a Vedic Scholar considered to be one of the leading authorities in the world on the life and teachings of Swami Vivekananda. Swami Vivekananda - Biography of this Indian spiritual leader including excerpts from his most famous writings. Swami Vivekananda: World's Parliament of Religions. - The speech made by Swamiji to the World's Parliament of Religions in 1893. Udbodhan - The Bengali magazine of the Ramkrishna Math and Mission started by Swami Vivekananda in January 1899. Includes the history of the magazine and the house which was the Calcutta residence of Maa Sarada Devi. Vedanta WebSpot - Information about Vedanta philosophy related to Sri Ramakrishna, Swami Vivekananda and Sri Sarada Devi. Includes poems, a calendar of events, and links of interest. Vedanta West Communications - Devoted to Vedantism and the elucidation and awareness of Vedantic beliefs. Music and theatre based on religious texts. Ramakrishna Centre of South Africa - The history, activities, and events of the religious institution established to promote Vedanta as exemplified by the life and teachings of Sri Ramakrishna, Sri Sarada Devi, and Swami Vivekananda. Ramakrishna Mission, Singapore - Highlights include announcements, festivals calendar, publications, and an overview of the Sarada Kindergarten, Counseling Center, and Boys Home. A branch of the Ramakrishna Order of India. Vedanta Centre UK - Situated in Buckinghamshire, 25 miles from London. Articles from the 'Vedanta' magazine, programme of discourses, an extensive bookshop and links to centres worldwide. Vedanta Society of Toronto - Description of the mission and activities of the center; brief description of Vedanta and bookstore details. Vedantic Centre, Geneva, Switzerland - Goals, activities and history of the centre and biographies of its leaders; details of Ramakrishna and the order; programme of events. Vivekananda Centre, London - Recommendations and material for schools wishing to teach Hinduism. Classes organised in and around London. The complete works of Swami Vivekananda may be read on-line, together with a book on the Vedas by Sister Gayatriprana. Ramakrishna - Vivekananda Ashrama, Tumkur - An organization catering to the spiritual needs of society, character building activities for youth and helping the poor and needy. Ramakrishna Math & Mission, Lucknow - Details of the city, the Math and Mission with its religious and cultural activities, the Nursing School and educational activities, events and newsletter. Ramakrishna Math and Mission, Kamarpukur - Details of activities (health, economy, environment and education), accommodation, multi-purpose school and temple routine. Ramakrishna Math, Nagpur - Articles about the movement, biographies and teaching; history of the math and details of the new temple; publication list. Ramakrishna Math: Rajahmundry, India - Voluntary organization engaged in religious, cultural, educational and medical activities. Information about the temple and activities. Ramakrishna Math: Yogodyan - Information about the math in Kolkata and its programmes. Includes a photo gallery. Ramakrishna Mission: Delhi - The programmes and activities of the mission and the universal temple. Ramakrishna Mission Institute of Culture - The institute of culture, is a branch centre of the world wide Ramakrishna Math & Ramakrishna Mission founded by Swami Vivekananda in 1897. Ramakrishna Mission Vivekananda Memorial - Porbandar - Details of charitable activities and future plans. Ramakrishna Vedanta Math - Established in 1939 by Swami Abhedananda a direct disciple of Sri Ramakrishna, for charitable, philanthrophic and cultural works for serving all mankind. Shree Ramakrishna Shanti Ashram: Hazaribagh, Jharkhand, India - The history, aims, and activities of the organization engaged in pursuit of religious practices and service to humanity. Somsar Sri Ramakrishna Seva Mandir - The history and activities of the service-oriented non-profit organization based on the ideas of Sri Ramakrishna and Swami Vivekananda. Located in Somsar, Bankura district, West Bengal, India. Sri Ramakrishna Math: Chennai, India - The history and activities of the math. 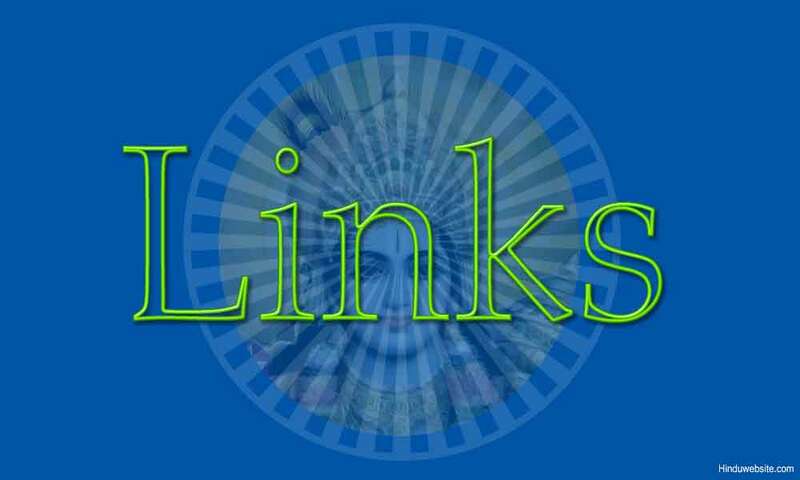 Links to articles on Vedanta, magazines and books published. Sri Ramakrishna Math, Hyderabad - Information about the Sri Ramakrishna Math, Hyderabad & the Ramakrishna Order; biographies; schedule of discourses; the Vivekananda Institute of Human Excellence and the Vivekananda Institute of Languages, including courses offered and admission details. Sri Sarada Ashram Ulundurpet, Tamilnadu - Information on the Ashram, its activities and initiatives including the Sri Ramakrishna gurukulam, Vivekananda seva pratishtan, organic farming initiative and rural development work. Sri Sarada Math: Calcutta, India - The headquarters of the world's largest independent women's monastic order.The history, activities, calendar of festivals, and publications of the math. Swami Vivekananda Study Circle: Ludhiana, India - A non political organisation dedicated to preach, promote and propagate the ideas and ideals of Swami Vivekananda. Ananda Ashrama - A temple in S. California expounding the teachings of Sri Ramakrishna; provides services and retreats, a library and bookstore. There are 'Daily Thoughts' from the writings of Swami Paramananda. Ramakrishna-Vivekananda Center of New York - A site which provides substantial information about Vivekananda and Ramakrishna. A good site for a beginner. Sarada Center: Carpinteria, California, U.S.A - The mission, calendar of events, and activities of the center. Sri Sarada Society: Albany, New York, USA - Articles about the Holy Mother, photographs of the Mother's 150th birthday celebrations, and a page of offerings from devotees. Vedanta Center - The center, near Boston MA, expounds the teachings of Sri Ramakrishna; provides services and retreats, a library and bookstore. There are 'Daily Thoughts' from the writings of Swami Paramananda. Vedanta Center of Washington DC - As an extension of the Vedanta Society of Southern California, this organization offers lectures, classes, worship and meditation. Vedanta Society: Western Washington - Affiliated with the Ramakrishna Order of India. This organization offers classes, spiritual instruction, and a book shop. Vedanta Society Berkeley - Objectives and introduction to Sri Ramakrishna, Swami Vivekananda and Sarada Devi. Vedanta Society of New York - Founded by Swami Vivekananda in 1894, the Vedanta Society of New York was the first Vedanta Center in the West. Vedanta Society of Northern California - The history, calendar of events, and activities of the centre established by Swami Vivekananda in 1900. Includes articles on Vedanta and links to other resources. The Vedanta Society Of Providence - Schedule of events at one of the 12 branch-centers in the USA of the Ramakrishna Math and Mission. Includes articles on Vedanta and a newsletter. Vedanta Society of Southern California - Resources, programs, and information about the Ramakrisha Order. Vivekananda Retreat: Ridgely, New York - News and events of the fulltime spiritual retreat of the Ramakrishna Vedanta tradition, located on 83 acres in the beautiful Hudson Valley. Ramanujacharya, Sri - About the Hindu philosopher and his philosophy of Vishishta Advaita. Meditation is His Message - The life story of a 20th century yogi, Shri Shivabalayogi Maharaj. Shiva Bala Yogi - Shri Shivabalayogi Maharaj, a yogi who attained God-realization through meditation in samadhi (God-consiousness) for twelve years. Includes bhava samadhi, biography, initiation, photos, Adivarapupeta Ashram, books and tapes. Shiva Rudra Balayogi - A devoted disciple of Shri Shivabalayogi Maharaj offering meditation instruction and healing sacred ash. Includes His Guru, His life, tours, talks/writings, news, devotees' expressions and photos. Shivabalayogi: 'I am Here, Always.' - Hinduism Today's article of June 1994. Viswayogi Viswamji Maharaj, Sri - Sri Viswayogi Viswamji is a spiritual humanist, who is striving for universal integration and world peace. Chimaya Mission Houston - Program of classes and satsangs organised throughout the year. Chinmaya International Foundation - Includes details of the foundation's activities, location, history, information on Adi Sankara. Veliyanad, Kerala. Chinmaya Mission Columbus - Various activities, talks, study groups, and lectures by spritual leaders in Columbus Ohio. Chinmaya Mission Dallas/Fort worth - Details of the mission and its location; programs, study groups and other activities; biographies of teachers, articles and bookstore. Chinmaya Mission Jodhpur - Provides information on the masters, the goal, the means & the fundamentals of the path. Includes pages on Humour, an Image gallery, Downloads & Links. Chinmaya Mission: Mauritius - Events and activities of the mission. Includes links to a photo gallery, books, music and video. Chinmaya Mission: Mumbai, India - Central Chinmaya Mission Trust - announcements, publications, satsangs, classes, events, list of centers, contacts, educational institutions, and articles. Chinmaya Mission Washington Regional Center - Talks, study groups, and lectures, are organised on Sanskrit, dance and other topics at various locations in Maryland and Virginia. Chinmaya Mission:Australia - Details of the missions at Sydney and Melbourne, events, teachers, and publications. Chinmaya Mission:Chicago - Details of study groups and events at the Badri shrine, Chicago. Biography, teachings, quotations and links to other parts of the organisation. Chinmaya Mission:Main Site - An organization dedicated to the spread of Advaita Vedanta across the world, founded by Swami Chinmayananda. Centers, teachers, schedules, books. Chinmaya Mission:UK - News, events, study groups, biography, articles, Balavihar classes, magazines, and a photo gallery of teachers. Nityananda Institute - A brief biography of Bhagavan Nityananda of Ganeshpuri, a discussion of his teachings and a selection of sutras, with commentary by Swami Chetanananda. Swami Nityananda - Swamiji is renowned in western and southern India as one of the great modern saints. Acharya Chandrahas Sharma- Siddha Yoga - India-based type of Siddha Yoga, based on the Shaktipat tradition of Yogeshwar Sri Chandra Mohan Ji (1907-1990) and Mahaprabhu Ramlal Ji (1888 - ca. 1939). Site includes teachings, photos and biographical details. Nityananda Institute - Directed by Swami Chetanananda, named after Bhagavan Nityananda of Ganeshpuri (died 1961). Information on programs in Boston, New York and Santa Monica. Self Awareness Institute: Laguna Beach, California - Offer courses in self realization and teacher training in Shaktipat Meditation. Shanti Mandir - Group of Swami Nityananda (Subhash Shetty, born 1962), the brother of Gurumayi Chidvilasananda, and also one of the successors of Swami Muktananda (d. 1982). Information on teaching and ashrams, with a photo gallery. Siddha Loka: The abode of the Siddha Guru - Siddha Loka is an Ashram (hermitage) near Bangalore in India, headed by Swami Chetanananda Saraswati, a disciple of Bhagwan Nityananda of Ganeshpuri. Site with many photos of the ashram and information on programs. Siddha Yoga - Brief introduction, links and photographs of Gurumayi Chidvilasananda. Siddha Yoga Meditation Global Site - SYDA Foundation global site on the Siddha Yoga Path, under the guidance of Gurumayi Chidvilasananda, the successor of Swami Muktananda (d. 1982). Information on Siddha Yoga philosophy and culture, worldwide ashrams, centers, programs and individual participation. Omkaranandaji, Sri Swami: Om Namasivaya - The fourth world wide project work for writing om namasivaya japa thousand crores times and also to construct a shiva temple using this mantra. Institute of the Himalayan Tradition - Relationship with Swami Rama. Swami Jnaneshvara Bharati - Biography, recordings and writings. Swami Rama - Life, message, inspiration, scientific research, tradition, mission, successors, organizations and links. Swami Veda Bharati - Biography of Swami Rama. Sivananda Ashram - About the Divine Life Society and Sivananda Ashram founded by Swami Sivananda, its activities and events. Included articles on Yoga. Sivananda Yoga - Web site of the International Sivananda Yoga Vedanta Centers. Information on Jnana Yoga, Bhakti Yoga, Raja Yoga, Karma Yoga, Hatha Yoga, Dhyana Yoga, Ashtanga Yoga, meditation, stress management, Asanas, Pranayama and Advaita Vedanta. Sri Swami Sivananda Saraswati Maharaj - Brief biography of Swami Sivananda, founder of the Divine Life Society. Includes a multi media gallery. Swami Sivananda - The life and teachings of the master of Yoga and Advaita/Vedanta. Information on the Sivananda Yoga Vedanta Centers. Yogi Ramsuratkumar - The life and message of the yogi. Includes the activities of the ashram and experiences of devotees. Yogi Ramsuratkumar - Pictures, flash movies, audio songs, video clips, online books, and poems about the saint.